For many, Glenn Welling might not be a household name. But for those of us in the finance community the manager of five-year-old hedge fund Engaged Capital is a well known investor with a successful track record. And even though Welling, based in Newport Beach, Calif., only launched his fund in 2012, his pedigree carries some weight with long-term institutional investors. Last year two out of the top five companies targeted by Welling, cardiac medical device maker HeartWare International Inc. and Redbox DVD Kiosk owner Outerwall Inc. were sold for significant premiums. Outerwall was acquired by Apollo Global Management (APO - Get Report) for $1.6 billion, and HeartWare was purchased by Medtronic plc for $1.1 billion. He worked with governance godfather Ralph Whitworth at Relational Investors before forming his fund and his director election contests - 11 over the past few years - have mostly resulted in settlements involving dissident board members or, in some cases, a sale of the targeted company. And Welling was listed among The Deal's ranking of activist winners in 2016. The Deal is a sister publication of TheStreet. A sale appears to be the most likely outcome for Rent-a-Center (RCII - Get Report) , which recently became the target of a director-election proxy contest launched by Welling. Engaged Capital is seeking to install three directors onto the company's seven-member board. The company put in a poison pill to discourage Welling; however, Engaged already owns 20.5% of the enterprise. 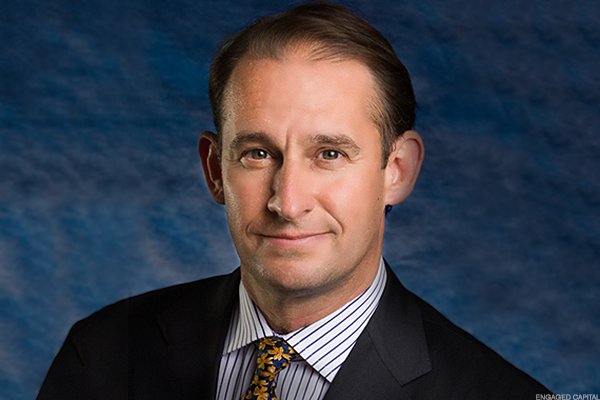 One of the company's incumbent directors up for election is recently installed Rent-A-Center's chairman and interim CEO, Mark Speese. A victory by Engaged to replace Speese from the board would send a message from shareholders that the company should launch a serious strategic review process. There are at least two potential U.S. based strategic buyers of Rent-A-Center; rival rent-to-own operator, Aarons Inc. (AAN - Get Report) and private equity firm Vintage Capital Management LLC, a majority owner of a smaller rent-to-own competitor, Buddy's Home Furnishings, according to people familiar with the situation. Vintage had sought to acquire Aaron's in 2014, but that effort was squashed after Aaron's acquired Progressive Finance Holdings, a virtual rent-to-own business. Consider that Aaron's CEO, John Robinson, told shareholders in a March letter to shareholders that he expects to grow partly through strategic acquisitions, which is why the company has "ample financial flexibility to execute" its strategic priorities. Also, one of Engaged's director candidates, William Butler, was the former COO of Aaron's. 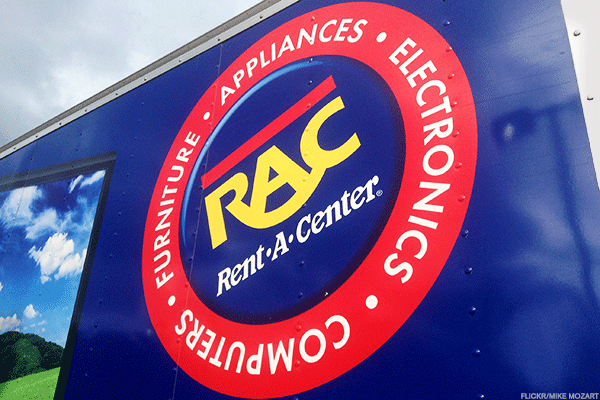 All of this suggests that the rent-to-own company is interested in Rent-A-Center. An Aaron's spokesman declined to comment, and Vintage Capital did not return calls. Rent-A-Center reported recently that it had retained JPMorgan Chase & Co. as an adviser, though it's unclear whether the bank is providing activist defense or M&A advice. Its board noted recently that it would "continue to evaluate" opportunities to improve shareholder value. Even so, the Rent-A-Center business has been struggling of late, with the stock dropping from a recent high of $36.32 a share in December 2014 to trade lately at $8.73 a share. Welling likely will find shareholders who support the argument that a combination of Rent-A-Center and Aaron's, for example, would significantly cut corporate overhead costs and bring distribution and purchasing synergies. And as credit markets tighten, it becomes harder to borrow, all of which will likely drive more subprime consumers to the rental furniture market. Engaged has owned a 3.3% stake in another target, Ruby Tuesday (RT , since the fall of 2016-the fund likely owns the stake as a value play because of an expectation that the company's real estate is worth more than the company's enterprise valuation. And while the activist fund hasn't made any public agitations yet there expect that Welling is keenly watching the company and talking to its management team, as he does at all of Engaged's major holdings. 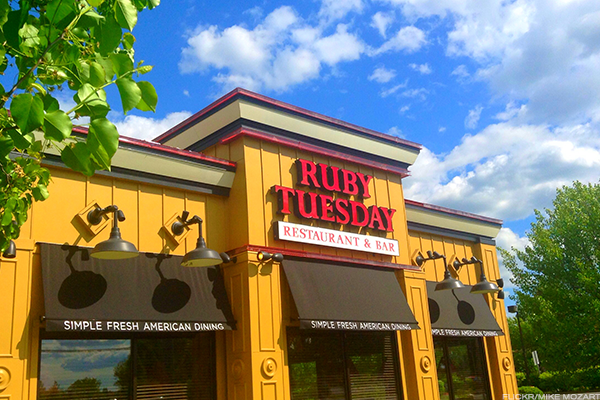 Earlier this month Ruby Tuesday launched a strategic review, with investment bank UBS, and more recently a real estate private equity firm, Leon Capital Partners, reported a 9.5% stake, noting that it has signed a confidentiality agreement in connection with a potential transaction. 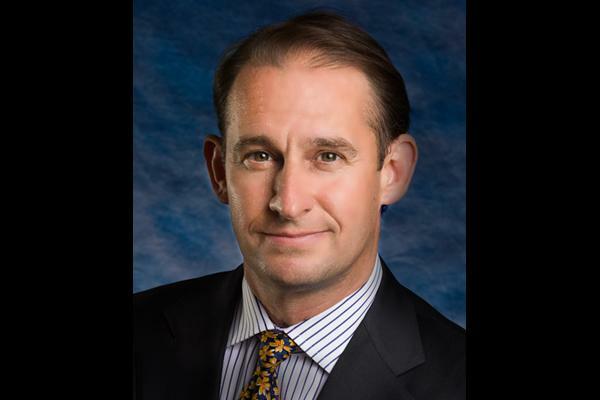 Lane Cardwell Jr., a former CEO that engineered a turnaround at Boston Market, took over as chief executive at Ruby Tuesday last year, suggesting changes are coming. The chain owns the land and buildings for 269 locations, as of November. Activist investors frequently pressure restaurant chains to sell their company-owned real estate to raise proceeds for debt reduction, stock buybacks or other initiatives. It's possible that Engaged Capital could be pushing Ruby Tuesday to sell its property and lease it back. Also, Ruby Tuesday could seek to franchise out the 546 stores it currently owns and operates. With the chain's poor performance, one possible scenario would be for a large franchise owner to take control of all the operations, with a plan to shut down a large number of the company's 600+ locations, bringing the company down to about 300 stores in total. A related possibility would be for a private equity firm to buy the whole business and sell the real estate to a restaurant-chain-focused REIT to help finance the purchase. A possible candidate is Golden Gate Capital, which acquired both Romano's Macaroni Grill and Red Lobster in 2008 and 2014 respectively, in deals that involved the sale of real estate to help finance the acquisitions. Things have cooled down of late at another Engaged target, Benchmark Electronics (BHE - Get Report) . The activist succeeded at getting two directors installed last year as part of a campaign targeting its working capital management and capital allocation. The company had been paying its suppliers faster than it was paid by its customers. But after the activists retained board seats, the company installed a new CEO and generated more than $200 million in free cash flow last year, by trimming its receivables and extending its payables. As a result, it currently has about $680 million in cash on its balance sheet as of Dec. 31, 2016, most of which is located overseas. That's a large amount considering that the Trump Administration and Congress could soon set up a repatriation holiday—a special window of time when overseas cash could be brought home at a discounted rate. That would produce a tremendous capital allocation opportunity at Benchmark, Engaged is likely counting on, bringing roughly $600 million in net cash to the U.S. to use for buybacks and dividends, representing almost half the company's market capitalization. 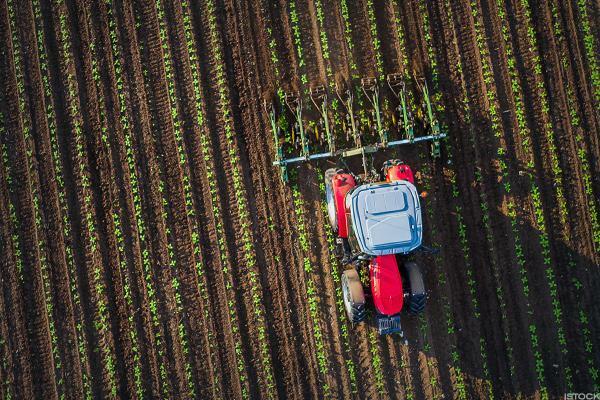 And another Engaged investment, SunOpta Inc. (STKL - Get Report) , late last year added three directors to its board and accepted an $85 million investment from asset manager Oaktree Capital Management LP in a deal that brought down the organic food company's debt level. The deal also brought an Engaged Capital principal, Brendan Springstubb, onto the company's board. The Brampton, Ontario-based company is in the midst of a multi-year turnaround with Oaktree bringing in operating talent that succeeded at helping to revitalize Diamond Foods, which was sold in 2015 to snack food maker Snyder's-Lance Inc. (LNCE) for about $1.9 billion. Welling, a person familiar with the situation added, believes that the addition of the three new directors, including two with food industry operational experience and a new CEO who was the former COO at Diamond Foods, will help drive the restructuring that is needed. Oaktree recently accumulated a large additional stake and currently owns about a 15% stake. Another Engaged play, Magnachip Semiconductor (MX - Get Report) was in a strategic review process last year but ultimately stayed independent. However, Welling succeeded at installing two directors onto the chipmaker's board in a move that preceded a capital raising effort that helped fund capital for equipment modernization and employee buyouts and layoffs in South Korea where Magnachip operates. Engaged owns a 9.9% common share stake and approximately 7% of the company's preferred equity. The fund is expecting that the cost cutting will have a positive impact over the next few years, people familiar with the situation said. A key benefit, they say, is that Magnachip is one of only two manufacturers of drivers for next generation iPhone and Samsung phone screens, a product that is expected to impact sales significantly in late 2017 and 2018. Finally, Welling and another activist fund manager joined the board of Jamba Juice (JMBA in January 2015 as part of yet another Engaged settlement. Welling successfully pushed the freshly-squeezed-juice and smoothie retailer to convert itself in the main into a franchised-owned company with the cash generated from franchising company-owned stores being used largely for stock buybacks. However, Jamba's share price has dropped in the interim from about $15 a share to trade recently at about $9 a share, as the company announced a late release of its annual report, which is now expected in April. But Engaged isn't giving up here. 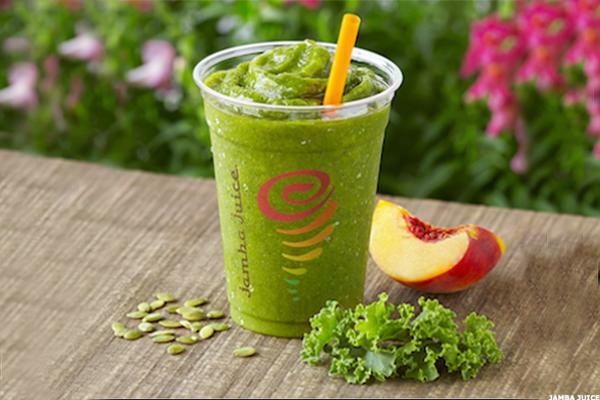 With Welling on the board, Jamba moved its headquarters and operations to Dallas from California last year and hired almost an entirely new management team to run the operation and provide a renewed focus on its core healthy smoothies and other food. Engaged now owns a 17.6% stake. Editor's pick: A version of this article was originally published on The Deal, TheStreet's sister publication, on April 4. Click here for a free trial.